Start off your visit on the 15th (Mon): take in the spiritual surroundings of Rock Church and then appreciate the history behind Elias Lonnrot Monument. 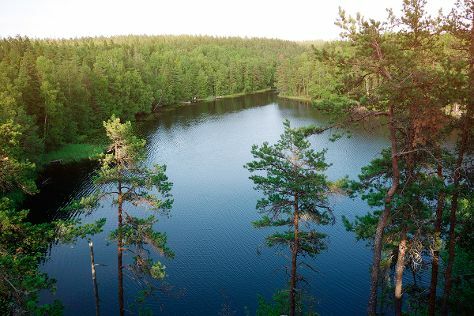 Keep things going the next day: explore the striking landscape of Nuuksio National Park. To see photos, more things to do, traveler tips, and other tourist information, use the Helsinki trip itinerary planner. Brussels, Belgium to Helsinki is an approximately 5.5-hour flight. You can also do a combination of train and flight; or drive. Traveling from Brussels to Helsinki, you'll lose 1 hour due to the time zone difference. Traveling from Brussels in April, expect Helsinki to be little chillier, temps between 9°C and 0°C. 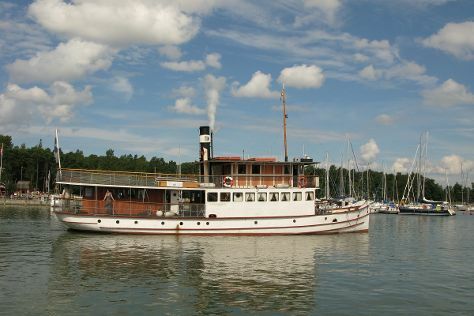 Wrap up your sightseeing on the 17th (Wed) early enough to drive to Turku. Kick off your visit on the 18th (Thu): soothe aching muscles at Ispoinen Beach and Sauna, then get your game on at Moomin World, and then trek along The Archipelago Trail. On the 19th (Fri), you'll have a packed day of sightseeing: have fun at Adventure Park, contemplate in the serene atmosphere at St Henry's Ecumenical Art Chappel, then step off the mainland to explore Vepsa Island, and finally test your team's savvy at popular escape rooms. Traveling by car from Helsinki to Turku takes 2 hours. Alternatively, you can take a train; or fly. Expect a daytime high around 9°C in April, and nighttime lows around -1°C. Finish your sightseeing early on the 19th (Fri) so you can drive to Rauma. Rauma is a town and municipality of ca. Kick off your visit on the 20th (Sat): enjoy the sea views from Kylmapihlaja Lighthouse Island, then brush up on your military savvy at Rauman Merimuseo - Rauma Maritime Museum, and then get outside with Kuuskajaskari. To find maps, reviews, where to stay, and tourist information, read Rauma journey planner. Drive from Turku to Rauma in 1.5 hours. Alternatively, you can take a bus. Expect a daytime high around 8°C in April, and nighttime lows around -1°C. Finish your sightseeing early on the 20th (Sat) to allow enough time to drive to Tampere. On the 21st (Sun), identify plant and animal life at Seitsemisen Kansallispuisto. On your second day here, enjoy some diversion at Pyynikki's Swim Hall, then have some family-friendly fun at Irti Maasta Tampere, then have fun at Duck Park (Sorsapuisto), and finally test your team's savvy at popular escape rooms. For more things to do, where to stay, traveler tips, and tourist information, read Tampere road trip website . Getting from Rauma to Tampere by car takes about 2 hours. Other options: do a combination of bus and train; or take a bus. In April in Tampere, expect temperatures between 8°C during the day and -1°C at night. Cap off your sightseeing on the 22nd (Mon) early enough to travel back home.